Disney’s BFG is Now Available! 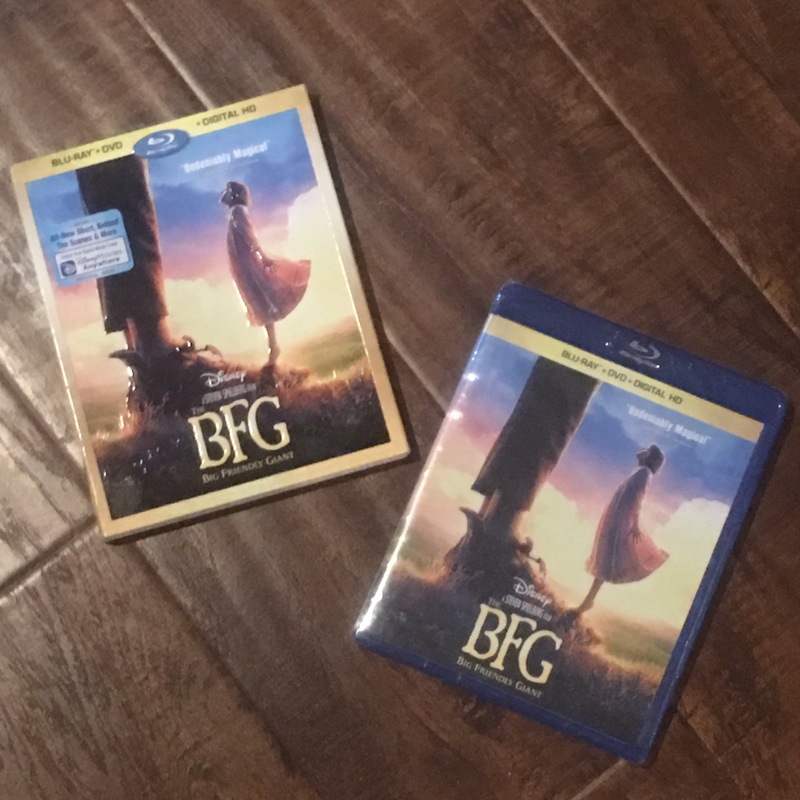 Just in time for the holidays, Disney released The BFG on DVD! Peyton and I saw The BFG over the summer and loved it. Disney and Stephen Speilberg did a fabulous job bringing Roald Dahl’s The BFG to life on the big screen. The BFG is a wonderful film to have on hand for family get togethers. It really is a film that will entertain the whole family. I had never seen The BFG before, I know there’s an animated version but the first time I had ever seen The BFG or heard the story was when I saw the movie in theaters. I had no clue what to expect. Though I had a feeling it would be a good movie because Disney and Steven Spielberg was involved, not to mention it was based on a story written by Roald Dahl. The special effects are spectacular. I actually thought there was a place where giants lived, somewhere off the coast of England. While watching The BFG you are transported to a magical place, one where giants exist and dreams can be made. Peyton was completely engrossed in The BFG when we saw it in the theater. And when we sat down to watch it at home she couldn’t wait to relive the story again and take in her favorite parts. Peyton’s favorite part is when the corgies drink the frobscottle. Frobscottle is a green fizzy drink that fizzes downwards. Most drinks fizz up but frobscottle fizzes the opposite way. And so instead of burping you toot. Peyton thinks it’s hilarious. She loves watching the corgies drink the frobscottle and the tooting aftermath. The BFG is a movie the whole family can watch and enjoy. You will see a little girl, Sophie, become friends with a big friendly giant. Then you’ll go on an adventure with Sophie and BFG. And it is an adventure! If you are looking for a family classic to watch this holiday season, check out The BFG. It’s now available at your local retailer or online. I am so looking forward to watching this next weekend with my older grandchildren, super excited! and I know that they are to. We have waited a long time to watch this.